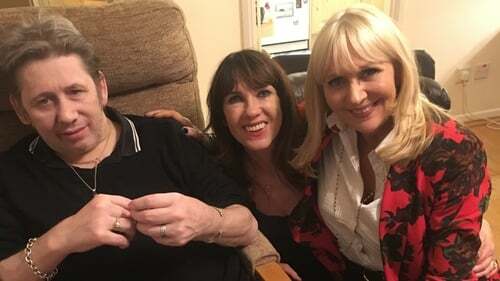 Victoria Mary Clarke and Shane MacGowan invited Miriam O'Callaghan into their home in Dublin to discuss their recent wedding in Copenhagen. Get all the details below. Aside from a few "nasty splits", Victoria and Shane have been together for over thirty years and decided to marry on Victoria's suggestion after they celebrated MacGowan's 60th birthday at Dublin's National Concert Hall in January of this year. Speaking to Miriam, the couple explained that they chose Copenhagen as their wedding destination because of the festive feel that the city has at this time of year. The Christmas funfair, glögg wine, Christmas trees and snowmen made it the perfect location - despite the freezing temperatures. Marrying outside of Dublin had the added perk of keeping the ceremony secret as they would be less recognisable outside of Ireland. However, with Johnny Depp on the guest list, the secret didn't last too long. "We wanted as little fuss as possible, not to be overwhelmed and to keep it a bit intimate so we would focus on what we were actually doing rather than on a load of people," said Victoria. The bride's floor-length red wedding dress was designed by the couple's friend Bella Freud, a London-based fashion designer. Last year, Bella had made a Christmas jumper of Fairytale of New York for them both. "I went was looking at her website and saw the red dress and I thought, 'wow, that would work'," Victoria told Miriam. "She looks beautiful whatever she's wearing," added Shane. With a guest list of just twenty, Victoria explained how she and her husband tied the knot with only their closest friends and family present, all of whom went the extra mile to be there with one friend travelling all the way from Thailand only to return the next day. Unfortunately, Shane's father couldn't make the wedding due to poor health but Victoria's dad gave a lengthy speech that he managed to cut down to just two pages. With such an intimate guest list, fans were quick to note the presence of Hollywood actor Johnny Depp whom the couple have known over 20 years now. According to Victoria, Johnny's appearance meant a lot as "he gets people following him, it's quite a big deal for him to go... and it was great to have him." As the lead singer of The Pogues, it's no surprise that Shane would have some impressive musical performances lined up for his wedding day. Despite the tiny guest list, the two managed to have Johnny Depp and Johnny Cronin on guitar for the night - although there was one hitch when they began to play Rainy Night in Soho which Shane wasn't too impressed by. Explaining his protests, Shane told Miriam that he has "written hundreds of songs" but it's Rainy Night in Soho and Fairytale of New York that always get the most attention. What song would Shane have preferred? Well, Victoria, of course. Speaking about their low-key wedding, Victoria told Miriam that she hadn't planned on getting a cake or flowers or any of the traditional wedding accessories. However, her sister Jenny Rose was determined to make the day special and insisted on picking up a wedding cake and making flower crowns for the bridal party. "We all feel that we love our families but sometimes we don't know how to demonstrate it or how to say it and it can be expressed in gestures like that," Victoria said. Shane told Miriam that he hadn't expected to feel different once married but, as it turns out, he does. "I don't know, I feel very good about it," he said. "I'm excited about it, it's exciting." Speaking on the length of time it took them to get married, Victoria said she wasn't sure for a while if she wanted to get married at first. "If you marry someone famous, it's very easy to just become a shadow of that person," she explained. "I think I wanted to make my own way and make my own name and not just become the wife of somebody else." When asked by Miriam whether she thought they'd still be together all this time, Victoria said "when we first got together I was determined that this was the one... but obviously there were times during those years when it was hard, really hard and I would have hated him but I still loved him and hated him at the same time." Shane responded saying that he always loved Victoria, never hated her: "I've just loved you all the time".